In 1869, Dmitri Mendeleev organized the elements by atomic weight, creating a tool that not only arranged the discovered elements but also left gaps that predicted future discoveries. Mendeleev’s periodic table of elements evolved into a reference tool that would be used by scientists around the world for years to come. Dmitri Mendeleev was born on February 8, 1834, in Verkhnie Aremzyani, Siberia. He was the youngest of (by some accounts) 11 older siblings. Mendeleev’s early life did not hint at his future successes. His father, a teacher, fell blind the same year Mendeleev was born. At the start of his education, Mendeleev was rejected by a school in Moscow before being accepted to his father’s alma mater in Saint Petersburg, Russia. As a young man, Mendeleev showed aptitude in science and research. However, during the later part of his education, he contracted tuberculosis and had to move to Crimea to recover. He continued to study and teach while he regained his health, and once fully recovered, he returned to the University of Saint Petersburg to complete his master’s degree in chemistry. Though his rarely trimmed hair and beard gave him an eccentric appearance, Dmitri Mendeleev was a popular professor. Image in the public domain, via Wikimedia Commons. Mendeleev earned his degree in 1856 and went on to work as a teacher and an academic chemist before moving to Heidelberg, Germany, to focus on chemical research. He returned to Saint Petersburg in 1861 to teach at the technical institute. In 1865, he became a doctor of science for his dissertation titled “On the Combination of Water with Alcohol” (a potential grain of truth behind the myth that he invented Russian vodka). As he continued to teach, Dmitri Mendeleev found himself disappointed in the textbooks of the time. He decided to write his own. In 1861, he published Organic Chemistry, which earned him the Demidov Prize. He published his second textbook, the first volume of The Principles of Chemistry, in 1869. While writing the second volume of The Principles of Chemistry, Mendeleev compared halogen elements and alkali metals. In doing so, he began to see a pattern. He noted similarities in the progression of the groups of elements’ atomic weights. He realized that this trend could be used to arrange not only groups of elements, but all elements. This discovery led Mendeleev to develop the periodic law and later devise the organizational system for the periodic table of elements. Mendeleev struggled with successfully arranging the existing elements like other scientists of the time, who had been theorizing systems of organization for several years without finding a conclusion. Mendeleev’s discovery of the progression of atomic weights was the first step toward a working table. The next step came to him in a dream. Mendeleev had been using a deck of cards with the elements and their properties written on them to work through various methods of organization. Working in vain for days, he eventually fell asleep at his desk. When he woke, he tried arranging the elements according to criteria he’d just envisioned in a dream. The method Mendeleev allegedly saw in his dream enabled him to successfully arrange the existing elements, even correcting some that had been mislabeled. As Mendeleev progressed with his design, he saw gaps in some of the “periods” of elements. Instead of seeing this as a mistake, Mendeleev understood that there were elements that could fill these spaces — they just hadn’t been discovered yet. Using his periodic law, he was able to predict where some of these elements would eventually be. For example, gallium was unknown during Mendeleev’s time, but he predicted it as one of the table’s missing elements. His predictions were found to be accurate, and his system eventually became the periodic table of chemical elements as we know it today. Though Dmitri Mendeleev was unaware at the time, he was arranging the elements by atomic number and by the electron configuration of the valence shell. Elements within the same group tend to share chemistry while elements within the same period tend to share atomic radius. Regardless, his original grid not only left a map for future scientists to discover new elements but also created an incomparable reference for years to come. 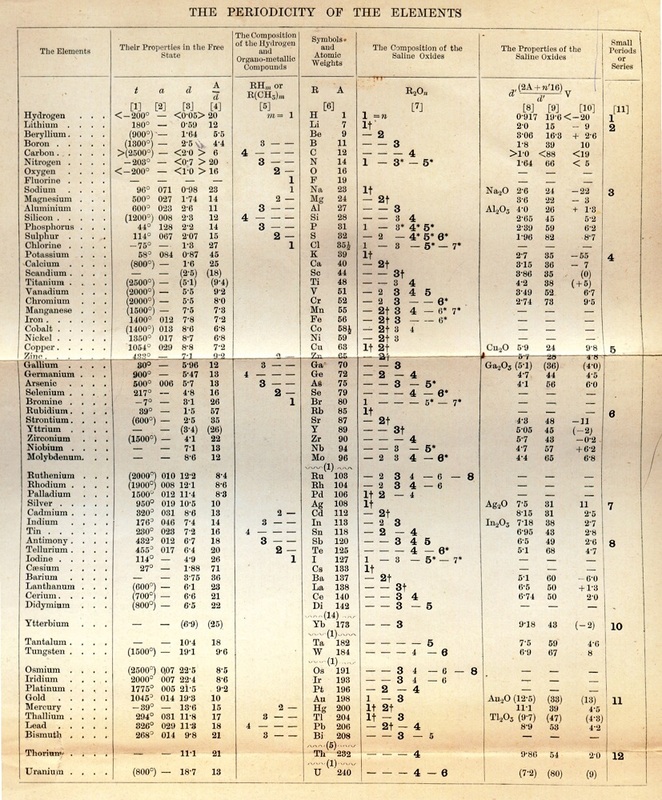 An early version of Mendeleev’s periodic chart, Image in the public domain in the United States, via Wikimedia Commons. Since its original discovery in 1869, the known elements have increased from 69 to 118. Many of the scientists who discovered new elements found them partly due to Mendeleev’s system. 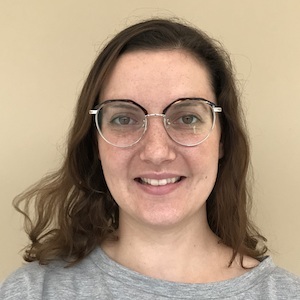 For example, Berta Karlik and her colleague Traude Bernert discovered naturally occurring astatine by trying to find the missing 85th element in the table. Though his success with the periodic table is often recognized as Dmitri Mendeleev’s most significant scientific achievement, the professor and chemist made other contributions to the field in his time. In fact, he is recognized as the force that turned the city of Saint Petersburg into an internationally recognized center for chemistry research. Mendeleev worked as a professor at both the Saint Petersburg Technological Institute and Saint Petersburg State University. Within the city, you can find Mendeleev Museum and a monument to Mendeleev. 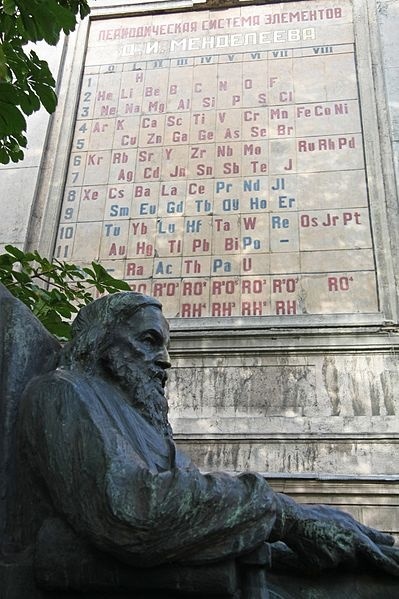 A statue of Dmitri Mendeleev with his periodic table in Saint Petersburg, Russia. Image by VekaSpb — Own work. Licensed under CC BY-SA 4.0, via Wikimedia Commons. Mendeleev received a number of scientific awards and accreditation during his lifetime, including the Davy Medal in 1882 and the Copley Medal in 1905. He was elected as a foreign member of the Royal Society and the Royal Swedish Academy of Sciences, and he was appointed as directer of the Bureau of Weights and Measures in 1893. More recently, a team at the University of California, Berkeley, named the element Mendelevium in honor of the Russian chemist. In addition, 2019 was dubbed the “International Year of the Periodic Table of Chemical Elements” by the United Nationals General Assembly, as it celebrates the 150th anniversary of Mendeleev’s discovery. Join us in celebrating Dmitri Mendeleev’s birthday!